Spain's economy minister has dampened speculation that the country is about to seek a bailout of its bank sector. Luis de Guindos said no decision would be made until audits of the banks were completed, possibly by the end of June. There have been reports in the past few days that Spain is seeking an immediate bailout from eurozone funds. Also on Wednesday, the European Commission unveiled proposals designed to stop taxpayers' money being used to bail out failed banks. The aim is to ensure losses are borne by bank shareholders and creditors and minimise costs for taxpayers. Meanwhile, ratings agency Moody's has cut the credit ratings of six German banks and three in Austria. The biggest bank affected was Commerzbank, Germany's second-biggest lender, which was cut to A3 from A2. "Today's rating actions are driven by the increased risk of further shocks emanating from the euro area debt crisis," Moody's said. Official figures have confirmed the eurozone economy achieved zero growth in the first three months of 2012. The second estimate of gross domestic product also said there had been no growth in the wider 27-nation EU in the period. The eurozone economy contracted in the last three months of 2011, so the zero growth means it has just managed to avoid recession. Australia's economy grew by more-than-expected in the first three months of the year, allaying fears of a global slowdown hurting its growth. The economy grew by 1.3% during the period from the previous three months. Analysts had projected a 0.5% expansion. Compared with the same period last year, the economy grew by 4.3%. There have been fears that slowing global demand for commodities and a stagnant domestic market may hurt Australia's growth. Abu Dhabi's Etihad Airways has bought a 4% stake in Virgin Australia, in an attempt to expand its global presence. Etihad said it had acquired the stake for $35.6m (£23.1m) and added that it was keen to raise its holding in Virgin Australia to as much as 10%. It is the fourth time since December last year that Etihad has bought a stake in another airline. In the UK, growth in the construction sector slowed to a three-month low in May. The Markit/CIPS purchasing managers' index (PMI) for construction fell to 54.4 last month, from 55.8 in April. However, the reading indicates that the sector is still growing, as a figure above 50 implies expansion. Office for National Statistics figures found a fall in construction output in the first quarter of 2012 contributed to the overall economy contracting. Drinks giant Diageo has announced it is to invest £1bn in Scotch whisky production over the next five years. The company said it would build a new distillery in Speyside or the Highlands and would draw up plans for a second if demand was sufficient. New warehouses to store the Scotch will also be built. In the latest Business Daily podcast Apple's former advertising director Ken Segall says the firm's success is down to keeping things simple, while economist Pedro Schwartz discusses Spain's latest efforts to raise capital for its banks. BOSTON, June 6, 2012 /PRNewswire/ -- LPL Financial LLC, the nation's largest independent broker-dealer* and a wholly owned subsidiary of LPL Investment Holdings Inc. (LPLA), congratulated financial advisors affiliated with the Company for their recent recognition in the "Top 100 Women Advisors" ranking by Barron's, a leading financial industry magazine. According to Barron's, the latest "Top 100 Women Financial Advisors" list recognizes the most successful female retail financial advisors in the United States for this year as of the end of March 2012 on the basis of assets under management, revenues generated and the strength of the advisor's overall practice. Bill Dwyer, President, National Sales for LPL Financial, said, "We enthusiastically congratulate Deborah Danielson, Carole Ford, Janice Hobbs, Susan Kaplan and Laila Pence for their recognition in the Barron's Top 100 Women Financial Advisors list. The financial advisors who receive this honor represent some of the best in our industry, and their inclusion reflects their hard work and commitment to meeting their clients' needs while providing the highest level of service. LPL Financial is proud to serve as an empowering partner to thousands of trusted independent financial advisors across the country as they provide objective and unbiased financial guidance to retail investors." LPL Financial, a wholly-owned subsidiary of LPL Investment Holdings Inc. (LPLA), is the nation's largest independent broker-dealer (based on total revenues, Financial Planning magazine, June 1996-2011), a top RIA custodian, and a leading independent consultant to retirement plans. LPL Financial offers proprietary technology, comprehensive clearing and compliance services, practice management programs and training, and independent research to over 12,900 financial advisors and approximately 680 financial institutions. In addition, LPL Financial supports over 4,400 financial advisors licensed with insurance companies by providing customized clearing, advisory platforms and technology solutions. LPL Financial and its affiliates have approximately 2,700 employees with headquarters in Boston, Charlotte, and San Diego. For more information, please visit www.lpl.com. PARIS--(BUSINESS WIRE)--Business Wire, global leader in press release distribution, and the World Investment Conference Europe (WIC Europe), the 10th edition of which is being held at La Baule, France, from 20 to 22 June 2012, have announced the signature of a partnership agreement. “Business Wire is happy to be a media partner of the 10th edition of the WIC Europe. These three days dedicated to economic development and growth and aimed at encouraging direct foreign investment in Europe have been an extremely important gathering for company CEOs, governments, entrepreneurs and investors over the past 10 years. Communication is an influential factor which can also play a decisive role in fostering investments. This is why Business Wire is pleased to be associated with this international forum,” stated Olivier Corneloup, Director of Business Wire France, Southern Europe and the Middle East. Business Wire, a Berkshire Hathaway company, has been distributing company news releases to the media worldwide for more than 50 years, thanks to its agreements with the major international press agencies. With this partnership, the World Investment Conference Europe can improve its international communication and visibility using the networks and experience of Business Wire. This 2012 edition will celebrate the 10 anniversary of the conference and a decade of debate on the attractiveness and competitiveness of Europe. The WIC will showcase the undeniable advantages of Europe. Its competitive strengths are levers which must be used to better develop a solid attractive base that can offer a stable and prosperous investment zone for international companies. Business Wire, a Berkshire Hathaway company, is the global leader in press release distribution and regulatory disclosure. Public relations and investor relations professionals rely on Business Wire for both broad-based and targeted market reach. A recognized disclosure service in the United States, Canada and a dozen European countries, Business Wire performs XBRL tagging, document formatting and regulatory filing into EDGAR, SEDAR and other systems. Business Wire provides online newsroom hosting, photo and multimedia distribution, social media tagging, search engine optimization, mobile distribution and detailed measurement on every press release. Its patented NX delivery platform provides simultaneous full-text posting of Business Wire content to news systems and websites in virtually any country or language. 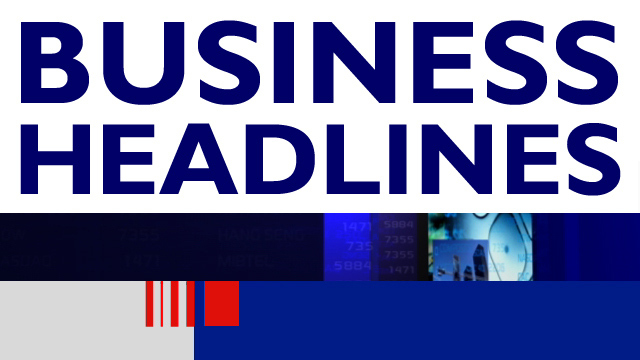 With 31 bureaus worldwide, Business Wire offers local service and global reach. Learn more at BusinessWire.com and the BusinessWired blog; follow updates on Twitter: @businesswire or on Facebook. The World Investment Conferences (WIC) runs the leading conferences on cross-border investments. These unique platforms are dedicated to stimulating and facilitating FDI from around the world to specific and targeted countries or regions. Since their launch in 2003, thousands of corporate and government leaders, entrepreneurs, and investors have gathered at the WIC conferences. The events have won worldwide recognition for shaping the future of international investment and the policies that help global economic growth, and for their significant impact on the business and political landscapes of today and tomorrow. •Understand your assets. A divorce can be expensive, especially if you fail to spend the appropriate amount of time reviewing and discussing your finances as you go through the process. Educate yourself by examining investment and bank statements, qualified plan and pension information, tax returns, mortgage information and insurance policies. Before you can begin to split the assets you’ve accumulated as a couple, you should know your total net worth so that you’ll be able to assess how the divorce will impact your financial goals. •Consider the big picture. When deciding how to split the nest egg, it helps to look into the future and think about how your lives will look postdivorce. Will you have short-term needs — like buying a home and furniture, new or continued child care costs or paying an attorney — that require immediate funding? Will you be able to replenish your retirement assets if you must use them to pay for these unexpected expenses? Develop a detailed written financial plan as a soon-to-be single so that you can act in your best interest when deciding which assets will best fit your needs. •Think about tax consequences. Most retirement plans are made up of pre-tax dollars, meaning your contributions won’t be taxed until you withdraw them. This can be beneficial if you believe your income and tax rate will be lower in retirement — but it also means the amount of cash you’ll be able to use to meet your day-to-day expenses will be less than what you actually withdraw. Be sure you’re aware of how taxes can affect your retirement income as you divide assets with your former spouse. Trusted financial, tax and legal advisers are especially valuable as you make such important decisions. •Follow the rules. If you decide that it makes sense to divide funds from you and your former spouse’s 401(k) plans and individual retirement accounts, it’s important to carefully follow state and local guidelines. This process is complicated, so be sure that your divorce settlement states specifically how assets are to be divided and transferred. Dividing a pension or 401(k) plan might require a qualified domestic relations order, which allows funds to be withdrawn without penalty and deposited into a separate retirement account. Make sure that you discuss preparation of such an instrument with your attorney.